Last week it was announced that the Festschrift for Shalom Paul, celebrating his 70th birthday has just appeared, with a slew of interesting article by a large group of scholars. Among others, there is a short piece by yours truly on an interesting find from Tell es-Safi/Gath – a seated image of diety, which was found in the 9th century BCE destruction level (Stratum A3), which we relate to the conquest of Gath by Hazael. Maeir, A. M. 2008. A Seated Figurine from Tell es-Safi/Gath: A Philistine Image of El? In Birkat Shalom: Studies in the Bible, Ancient Near Eastern Literature, and Postbiblical Judaism Presented to Shalom M. Paul on the Occasion of His Seventieth Birthday, eds. C. Cohen, V. Hurowitz, A. Hurvitz, Y. Muffs, B. Schwartz and J. Tigay. Winona Lake, IN: Eisenbrauns. 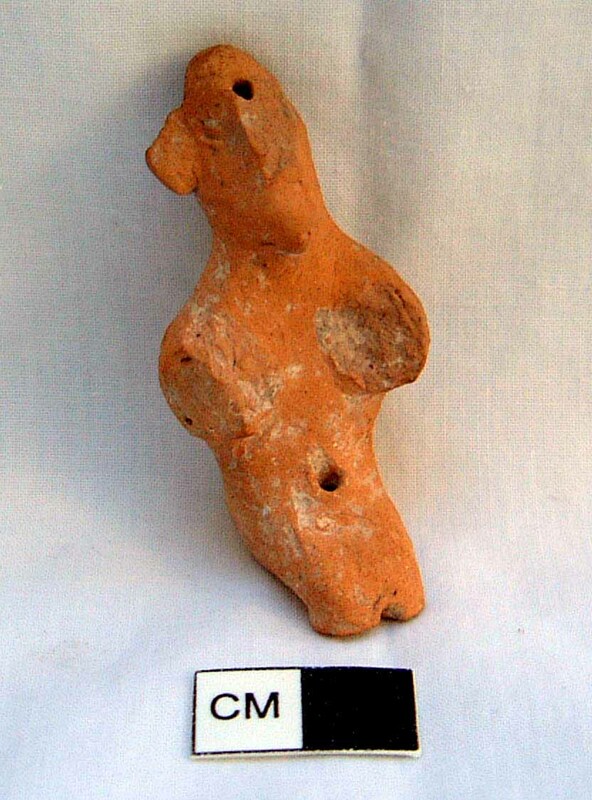 The figurine, which originally was apparently applied to some other object, is reminiscent of the Canaanite god “El”, and I thus suggest in this article that perhaps, this is a manifestation of this god as part of the Philistine pantheon (of which we know so little). Interestingly, this figurine was found several seasons ago. In the last two seasons, when we continued to excavated in the same area, we found the concentration of cultic objects that I have reported before, including another exactly similar figurine. As my good friend Spock will one day say, “Fascinating!” Quite El-ivating reading! You may recall that three years ago a certain fringe lunatic (namely moi) suggested a different El connection at 9th century BCE Gath, he being the sinlge kol bamidbar who rebelliously opined that the “Goliath sherd” might really sport a Philistine dialect version of the goddess name Elat (bzw. Elot). But here’s a query — could this obviously male figurine alternatively represent Baal? I note its similarity to a number of figurines identified as representations of Baal (I’m specifically thinking of one from Hazor at this moment, but there are others). In view of the biblically noted Baal-name at Ekron (2 Kings 1) during the 9th century BCE, could we expect a Baal connection at Gath? Hi! The reason I have suggested relating it to El is the fact that the deity is sitting and is holding out his hand, very similar to depictions of El, from e.g., Ugarit. Baal on the other hand, most often is standing and/or striding, with a raised hand. In any case, you will have to read the article … (I’ll send you an offprint when and if I get them). Thanks – I fixed the link!